How come I can never find my keys? Why don't I sleep as well as I used to? Why do my friends keep repeating the same stories? What can I do to keep my brain sharp? Scientists know. 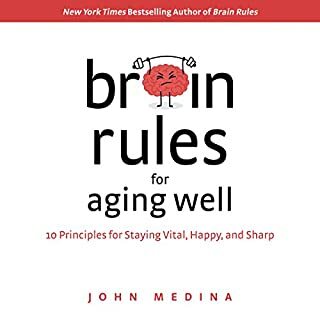 Brain Rules for Aging Well, by developmental molecular biologist Dr. John Medina, gives you the facts - and the prescription to age well - in his signature engaging style. With so many discoveries over the years, science is literally changing our minds about the optimal care and feeding of the brain. All of it is captivating. A great deal of it is unexpected. 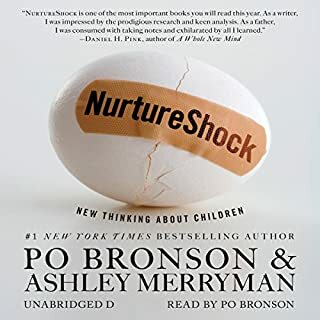 NurtureShock is a groundbreaking collaboration between award-winning science journalists Po Bronson and Ashley Merryman. They argue that when it comes to children, we've mistaken good intentions for good ideas. With impeccable storytelling and razor-sharp analysis, they demonstrate that many of modern society's strategies for nurturing children are in fact backfiring - because key twists in the science have been overlooked. 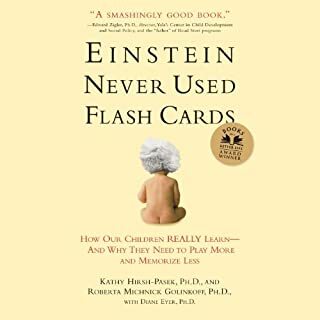 Reassuring to parents and educators, Einstein Never Used Flash Cards shows why - and how - to step away from the cult of achievement and toward a more nurturing home life full of imaginative play and love of learning. Here's the message that stressed-out parents are craving to hear: It's okay to play! In fact, it's more than just okay - it's better than drilling academics. After decades of research, scientists and child development experts have come to a clear conclusion: Play is the best way for children to learn. Most of us have no idea what's really going on inside our heads. Yet brain scientists have uncovered details every business leader, parent, and teacher should know - such as the brain's need for physical activity to work at its best. How do we learn? What exactly do sleep and stress do to our brains? Why is multi-tasking a myth? Why is it so easy to forget - and so important to repeat new information? Is it true that men and women have different brains? Pregnancy? Newborn baby? Partway through parenthood with a toddler or preschooler? No matter your stage, I'm guessing you could use more calm, more confidence. 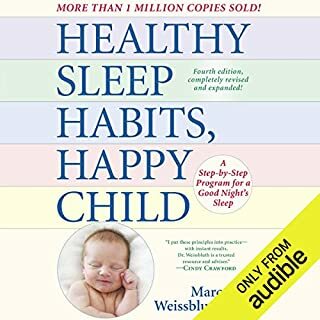 You could listen to dozens of parenting books on pregnancy, baby sleep, picky eaters, child psychology, child development, potty training, and discipline. 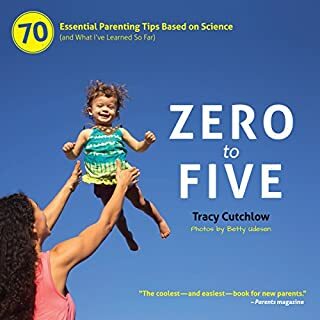 Or you could listen to Zero to Five: 70 Essential Parenting Tips Based on Science. 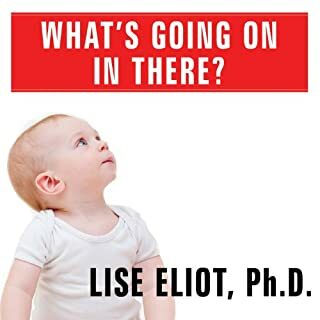 As a research neuroscientist, Lise Eliot has made the study of the human brain her life's work. But it wasn't until she was pregnant with her first child that she became intrigued with the study of brain development. She wanted to know precisely how the baby's brain is formed, and when and how each sense, skill, and cognitive ability is developed. And most importantly, she was interested in finding out how her role as a nurturer can affect this complex process. 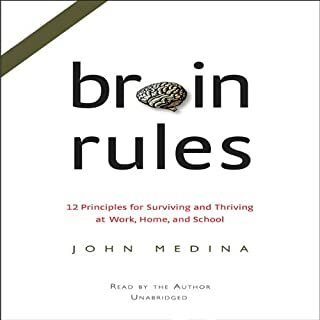 In his New York Times best seller Brain Rules, Dr. John Medina told us how our brains really work—and why we ought to redesign our workplaces and schools. Now, in Brain Rules for Baby, he shares what the latest science says about how to raise smart and happy children from zero to 5. This book is destined to revolutionize parenting. Just one of the surprises: The best way to get your children into the college of their choice? Teach them impulse control. Brain Rules for Baby bridges the gap between what scientists know and what parents practice. Through fascinating and funny stories, Medina, a developmental molecular biologist and dad, unravels how a child’s brain develops--and what you can do to optimize it.You will view your children—and how to raise them—in a whole new light. What you do right now—before pregnancy, during pregnancy, and through the first five years—will affect your children for the rest of their lives. Brain Rules for Baby is an indispensable guide. 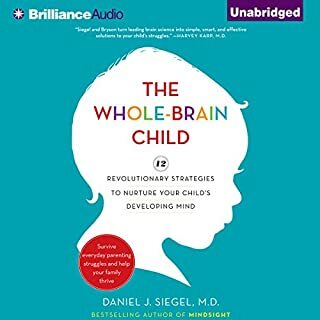 If you are pregnant or planning a family, I thoroughly recommend this book, which accessibly presents,the latest in research concerning the development of intelligence, happiness, and good behavior in children. If you, like me, are already the parents of a child old enough, to run, jump, count to 10, and arbitrarily meet at least half of your parental requests with an indignant "NO! ", then I also thoroughly recommend this book-- with a bit of a disclaimer: brace yourself before reading. The "rules" in question amount to a pretty tall order, and he doesn't exactly mince his words about the possible effects of not following them. The first priority of any brain, he points out, is not to learn. It is to be safe. This has been the goal of our brains since the earliest days of human evolution, and the vestiges of ancient evolutionary pressures and needs remain with us still. Stemming from this understanding, and supported by research, Dr. Medina recommends that parents place a high priority on marital harmony, empathic discipline, stress reduction during pregnancy, and avoidance of "hyperparenting". Second, humans are deeply social creatures-- this means that we learn best by being held, spoken to often, sung to, and read to-- it also means turning off the cell phones, computers and TV, and engaging in imaginative "guided play" on a daily basis. 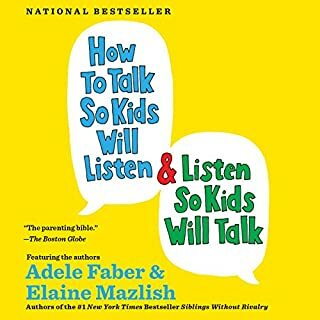 This is a good book, and I am compelled to apply Dr. Medina's recommendations to my own parenting practice. I would, however, suggest two more books, for the sake of balance. The first is "Into the Minds of Babes" by Lisa Guernsey, which offers more research specifically relating to TV, and which I believe presents a more balanced view. The second is "The Shelter of Each Other" by Mary Pipher, which offers a more holistic, anthropological perspective on many of these issues-- which considers the experience of the parents and the culture as well, and in which the "Voice of Science" is a little less... imperious. 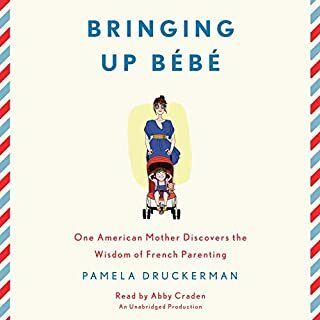 Where does Brain Rules for Baby rank among all the audiobooks you’ve listened to so far? I love when you stumble upon an educational book that is just as entertaining as it is informative. Before this book I never would have thought neurons and brain chemistry would be so much fun to read about. I laughed out loud several times but more importantly I learned how my baby's brain is developing, why she does the crazy things she does, and I received lots of practical parenting advice that I could put into effect same day. What was one of the most memorable moments of Brain Rules for Baby? Author John Medina, a parent himself, understands what we want for our kids...to be smart and to be happy. He breaks down both citing extensive research studies and applying them to real-life parenting practices. He is specific, not just reminding us how to be more empathetic parents, but how we can actually shape the conversations we have with our kids for the best results. The production quality is poor compared to most (maybe all) of the books I have but don't let it dissuade you from downloading. John Medina's voice and mannerisms sound an awful lot like comedian Lewis Black but not as extreme. For me, it added to the entertainment value. He is definitely not a trained narrator but I found him so likable it didn't matter. I gave the performance 3 stars only for the poor sound production. 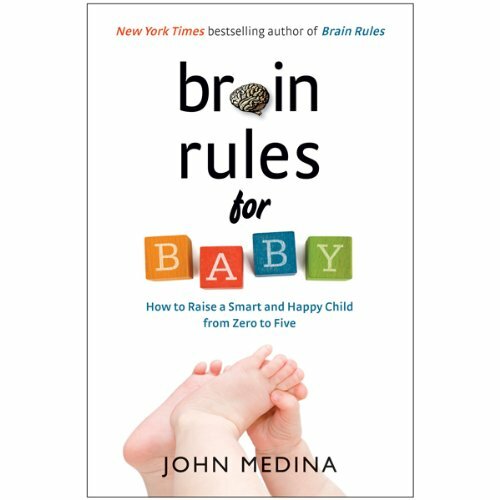 Would you consider the audio edition of Brain Rules for Baby to be better than the print version? What did you learn from Brain Rules for Baby that you would use in your daily life? Brain Rules is a fantastic resource for any parent (or soon to be parent). 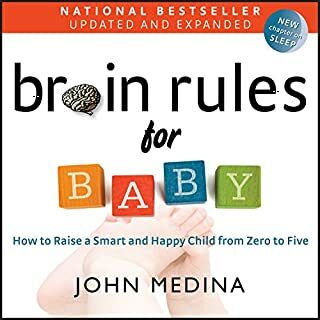 John Medina is a scientist first and foremost, and the basis of this book is to give only advice that is scientifically proven to help brain development in children. It reduces everything to practical actions that you can take as a parent, whilst at the same time explaining the neurological science (and often the evolutionary requirements) underpinning that advice. I recommend it highly. This books displels the myths of what helps with baby/child development while highlighting things that parents should focus on. 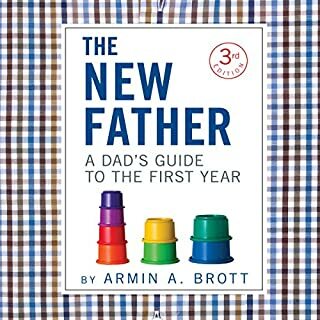 A must read for any new or expecting parent. I really enjoy listening to the author perform this book. He makes some really corny jokes, but the material is good. My main take away is that I need to play structured make-believe with my baby/kid, get him into music classes and provide consistent rewards/punishments. Not exactly groundbreaking stuff, but it doesn't hurt to hear it along with the support of lots of studies. Would you listen to Brain Rules for Baby again? Why? Yes! My son was just born. 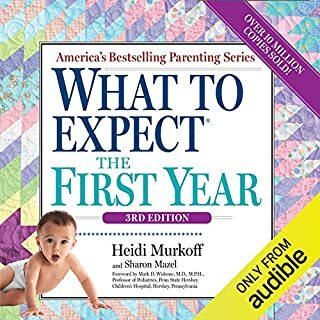 I took so many notes on the Audible iPhone app and will either "read" this book again sometime in the next year (on 1.5 speed, since I've already finished it) or around the time of my next child's birth. As a new parent that normally prefers to read social psychology (as it pertains to adults), I doubted I would enjoy this book very much. But the book surpassed my expectations by far and is now one of my favorite books on human behavior. Why? Because instead of just explaining how the brain works (like other books I've read and liked), from this book I get to know how it develops! John Medina is obviously very intelligent, but from his lively narration and story telling, the reader/listener gets to like him as a person. He is very entertaining. Sincerely, this book prepares me for childhood. I know when and how to set rules, how to punish when necessary, what parenting styles have been scientifically demonstrated to be more effective and how to create a happy, healthy and intelligent baby. 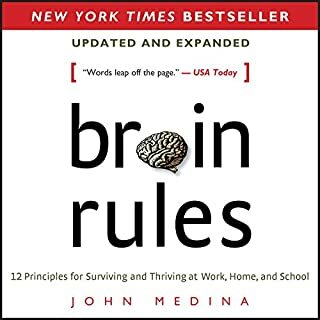 I look forward to reading Medina's other book, Brain Rules. Overall, I found this book to be very interesting and I will definitely be using the advice and suggestions that were provided. Some very good tips! I knew a lot of facts and useful insights to help me and my family raising happy smart girl. 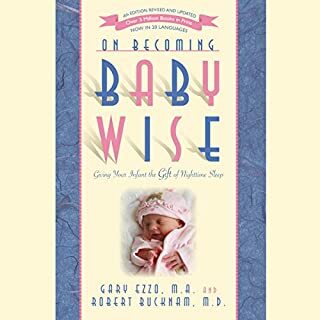 This book is more than just information for growing the minds of babies. 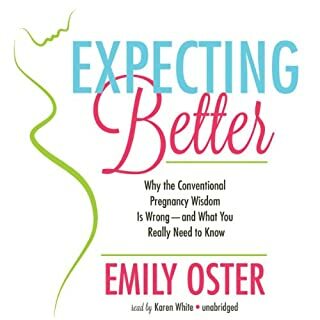 This book covers pre-pregnancy through life. 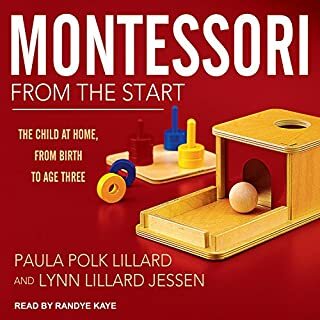 Of course most of the concepts are focused on the early stages of life, but this is an important book for anymore who raises, works with, or interacts with kids on an occasional basis. I loved it! There were a few audio issues with the recording but nothing that really gets in the way, or is persistently annoying. This book is full of great advice that is founded in well documented research. I already knew quite a bit of what he was talking about, as research is my profession, but he had insightful pieces of information I had not yet heard of and made connections I hadn't thought of. 10/10 would reccomend. If you read Dr. Twenges book "the impatient woman's guide to getting pregnant" this is like the parenting version of a funny and interesting meta analysis. If you like Twenges work you will definitley like this book.